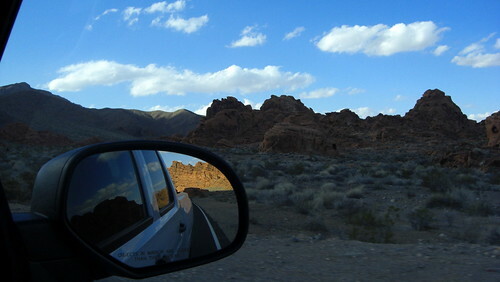 This past Monday my husband and I drove 55 miles from Las Vegas to the Valley of Fire State Park, Nevada's first state park. In about half an hour, we were soon at the Redstone Dunes where these ancient red rocks sit like gigantic jewels against the desert canvas. 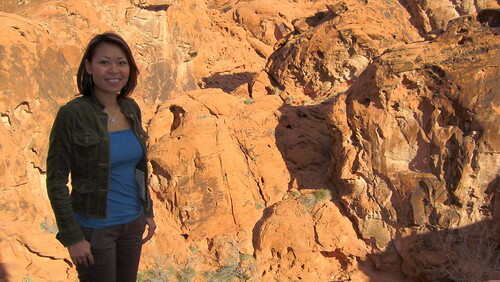 We hiked along the 30-minute trail through the colorful ancient rocks formed over 140 million years ago by erosion. We enjoyed admiring the Aztec sandstone and cross bedding underneath the deep blue sky while white fluffy clouds float by. The day was sunny and the noise of Sin City was far, far away. We could have very well have been on the moon! Thereafter, we drove to Overton Beach Marina, now (sadly) defunct since the water level declined. 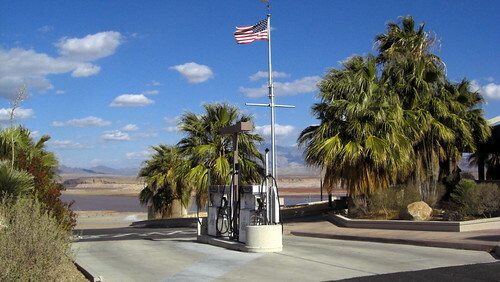 All that remain is the launch ramp, a couple gas pumps, and the main station. 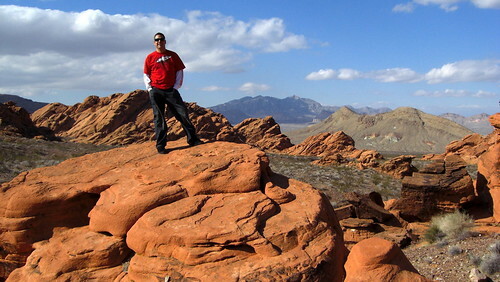 Three miles from this location lies The Lost City submerged underneath Lake Mead. 1200 hundred years ago, people settled on the fertile floodplains of the Virgin and Muddy rivers but for unknown reasons, the town was abandoned by A.D. 1100. 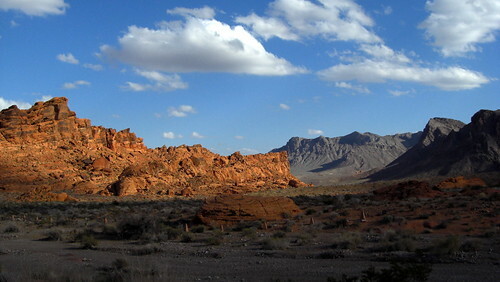 Finally, we were at the entrance of the Valley of Fire State Park. After a quick stop by the visitor center to stamp my park passport, we were off exploring a trail to Mouse's Tank (a natural basin in the rock where the water collects after rainfalls) past several displays of prehistoric Indian petroglyphs. I am pictured below standing where I can see Mouse's Tank and it's a long, long ways down. The entire experience of the park and seeing the park's features including Elephant Rock, Beehives, and Arch Rock was just amazing. You just have to be there in person to truly appreciate its beauty. All I know was we were bummed when it was time to leave and head for home. how fun. we need to take more time to do trips like this. Beautiful photos - looks like a cool area. 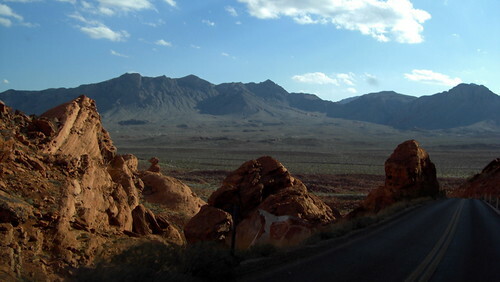 On my next visit, besides shooting, we'll have to venture out and see some scenery. One of my favorite things to do. @ Dano: You're welcome to stay with us and make sure to plan several days so we can do everything! I sure had a ball that day. I can't wait to do it again. Next time we will take the parents. I envy you for being in a place so wonderful. I can only wish I can be that close to nature. Your photos are really great!